Three Ward and Smith, P.A. Attorneys Named "Lawyers of the Year" - Ward and Smith, P.A. Three Ward and Smith, P.A. Attorneys Named "Lawyers of the Year"
Best Lawyers®, the oldest and most respected peer-review publication in the legal profession, has named three Ward and Smith, P.A. attorneys as 2013 "Lawyers of the Year" for our region. After more than a quarter of a century in publication, Best Lawyers® is designating "Lawyers of the Year" in high-profile legal specialties in large legal communities. Only a single lawyer in each specialty in each community is being honored as the "Lawyer of the Year." Mr. Dorsett is leader of the Firm's Trusts and Estates Practice Group. His practice experience encompasses tax planning, estate planning, estate administration, and related services to individuals, charitable organizations, and foundations. Mr. Dorsett's practice also involves tax and business succession planning for the owners of closely-held businesses. He is certified by the North Carolina State Bar as a Board Certified Specialist in Estate Planning and Probate Law. 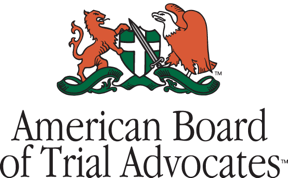 Mr. Dorsett is a Fellow of the American College of Trust and Estate Counsel, and has been rated by his peers in Martindale-Hubbell as being "AV® Preeminent™" in his fields of law. Mr. Ellis is one of the Firm's Co-Managing Directors. His practice experience encompasses federal and state court litigation in various areas, including claims for wrongful death and serious personal injury. He has also litigated numerous cases involving complex insurance coverage issues, products liability, and professional malpractice. He has been rated by his peers in Martindale-Hubbell as being "AV® Preeminent™" in his fields of law. Mr. Pope is leader of the Firm's Real Estate Practice Group. He has extensive experience in representing both entities and individuals in matters involving real estate and construction opportunities and issues. Mr. Pope advises clients involved in the acquisition, financing, leasing, and sale of real estate; and the construction of improvements. He also has extensive experience in guiding clients through the maze of governmental approval, zoning, and subdivision issues that surround the development and use of real estate. Mr. Pope has been rated by his peers in Martindale-Hubbell as being "AV® Preeminent™" in his fields of law.